How do you thank a man of strong character who has given so much to our school? By creating a fund that provides boys with a future. 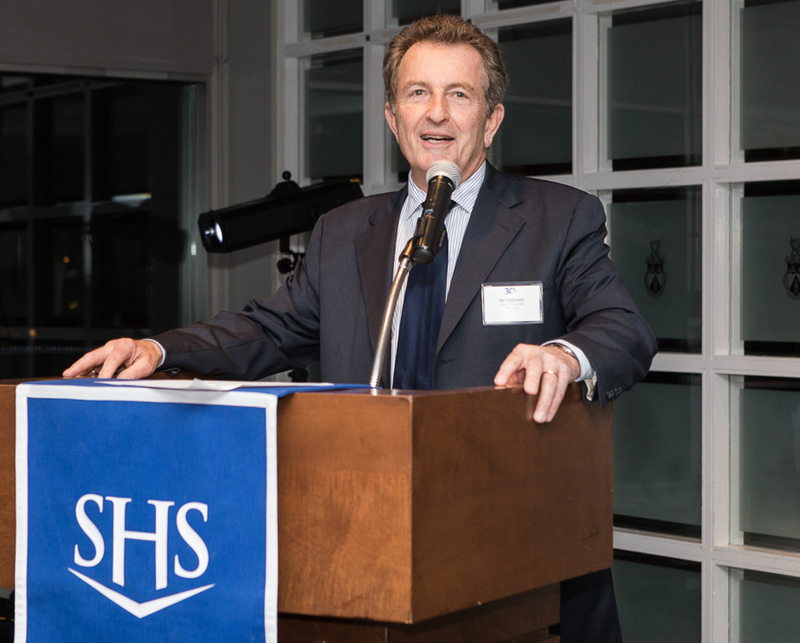 From 1995-2012, Principal Ian Robinson was the guiding force at The Sterling Hall School, enabling SHS to achieve a solid reputation for academic excellence and character development. Under his leadership, the school developed a tightly knit and vibrant community of parents, students, teachers and staff—establishing The Sterling Hall School as a leader in boys’ education. The first scholars to receive partial tuition support through the Fund were welcomed to SHS in September 2015. After 17 years of dedicated and visionary leadership, Ian retired at the end of the 2011/2012 academic year. In honour of his retirement, The Sterling Hall School proudly established the Robinson Family Fund. Managed by The Sterling Hall School Foundation, the Robinson Family Fund provides financial aid to boys who clearly qualify for a Sterling education based on academic, character and talent criteria, but whose families do not have the financial means to cover the full cost of an SHS education. The Robinson Family Fund allows SHS to attract and assist boys from a variety of backgrounds and demonstrates our commitment to creating a more diverse community that is reflective of our broader society. It greatly contributes to an academic and social environment at Sterling Hall that’s characterized by a culture of respect, empathy, caring and achievement. The financial aid endowment funds are managed by the Board of Directors of The Sterling Hall School Foundation, following the Foundation's investment policies and criteria. For information on providing charitable support to student financial aid through the Robinson Family Fund, please contact Jill Palmer, Executive Director of Advancement, at 416-785-9252. For information on the criteria and application process for student financial aid, please contact Kate Sherk, Director of Administration at 416-785-3490, ext 220. Together, we will realize our vision to deliver the leading foundational education experience for JK-8 boys and their families.